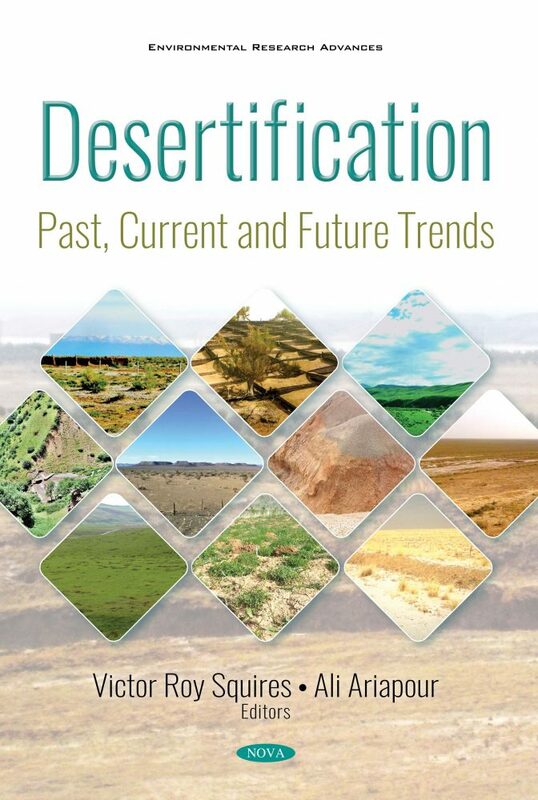 This book (with a foreword by eminent desertification specialist, Dr. Alan Grainger of Leeds University) provides a synthesis of what desertification means in the present day context of worldwide concerns about land degradation in the face of global (including climate) change, burgeoning populations, urbanization, and loss of biodiversity. It defines and describes desertification in its many forms and examines efforts to combat land degradation. The authors present some models that relate to the current impact of climate change on desertification as well as the medium to long term, and offer case studies on efforts to combat desertification in the major regions of the world. In the last chapter, we attempt to synthesize the whole book in the context of the post-2015 agreements on climate change (the Paris Accord) and the UN Sustainable Development Goals (SDG). Chapters concerning the historical context of desertification consider the definition and meanings associated with the word “desertification”; discuss the global extent and severity of the many types of desertification; and explain the current status of desertification in the “post-2015 context”. The book also discusses the impacts of desertification on ecosystems and people along with biodiversity; dust and sand storms from desertified landscapes; and the people affected by desertification. Chapters also focus on desertification and climate change, and consider the nexus between climate, soil, water and people; climate variability, land use and livelihoods affected by desertification are also analyzed. Chapters on combating desertification focus on combating desertification and act as an overview of proven practices with a detailed case study from China. Finally, synthesis and conclusions are consider the future of those affected by desertification, dealing firstly with medium to long term future outlooks and secondly with attempting to sum up the trends. Chapter 3. The Maghreb (North Africa) Rangelands' Evolution over Forty Years: Regreening or Degradation? Chapter 10. Desertification: Is It Really at an End or Has It Morphed into Something Else?